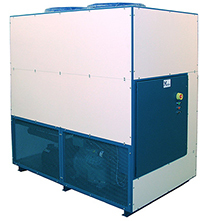 Industrial Chiller Applications need dependable performance, whether used as a water chiller or a very low temperature process chiller utilizing exotic heat transfer fluids. 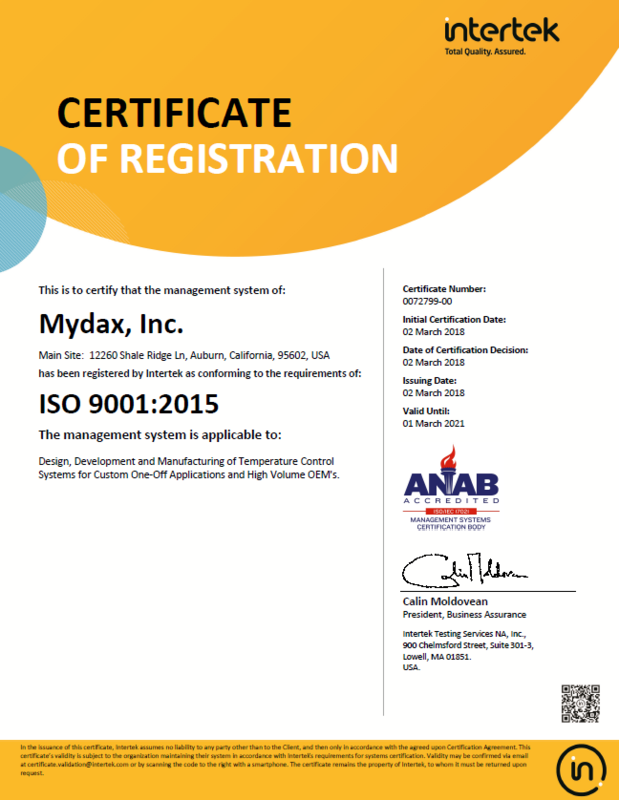 Mydax industrial liquid chiller designs insure long term system performance is achieved by incorporating high quality components and decades of experience. 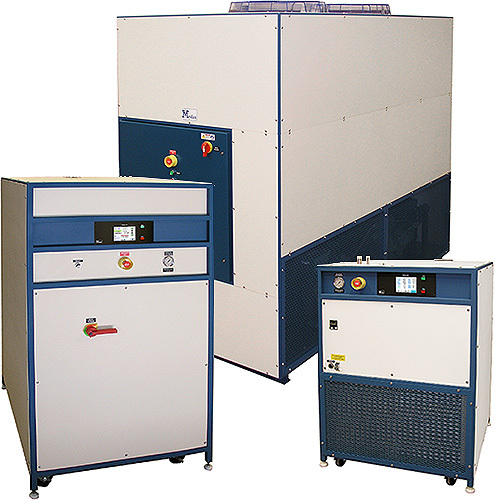 Thorough system testing and a dedicated support team utilize built in diagnostic and safety devices to keep all chiller systems performing to design specifications for years. 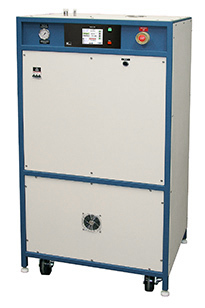 Mydax’s Advanced Temperature Control Technology allows full proportional cooling from 0% to 100% load conditions. With available temperature stabilities of ±0.05°C for critical applications, even with high cooling power requirements up to 70kW, Mydax is bringing laboratory precision to the industrial market. 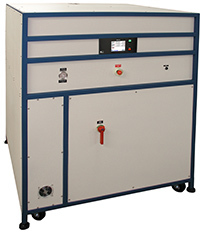 Industrial Chiller applications are endless, requirements are often very unique… Mydax can design and build a one-off prototype system or multiple OEM systems utilizing custom form-factors, wide temperature extremes and precision temperature stability while insuring reliability & performance and offering timely support if needed. 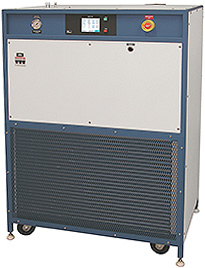 Please contact us with specifications for your Industrial Liquid Chiller Application requirements to see what we can offer.